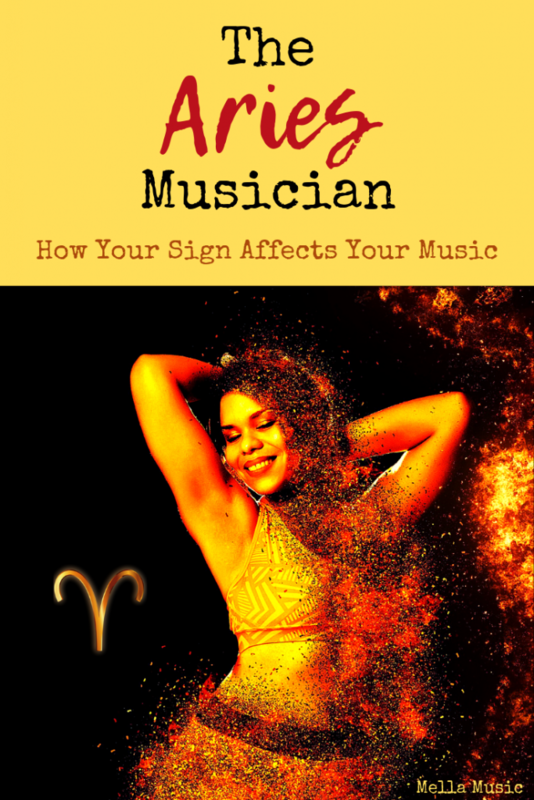 I did a whole series listing every Aries musician ever, and I want to dive into what it really means for musicians under this sign. I know a lot of people aren’t into zodiac signs, but chances are if you’re here, you at least believe in them a little. There are many factors that can affect your personality. 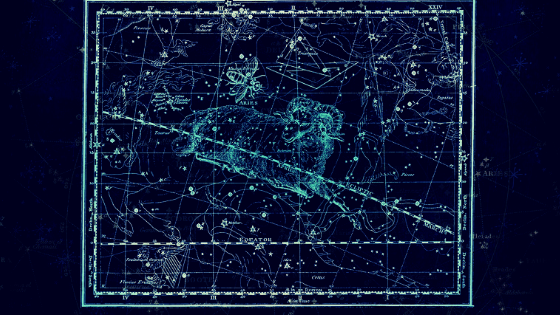 Your zodiac sign can determine some of it, but not all. Other people point out that your main zodiac sign (your Star Sign) is just one part of your life, and that you also have Sun Signs, Moon Signs, Planet Signs, and other factors. 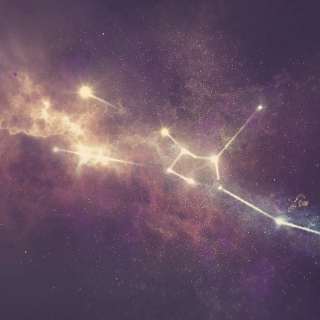 When you consider all of these, it’s no wonder that you may not feel like you identify with your star sign. That’s okay! You can find out any of your other signs here. Use this page to find your Venus Sign, Vertex, Mercury Sign, and many others. You might discover that your personality is more similar to one of your other signs. I’ll be writing about each sign over the coming year, so you can come back and find the one that’s closest to you. Aries people have huge personalities and are typically the center of attention. They’re constantly moving and adventurous. They’re optimistic and love trying new things. On the negative side, they can be impatient and throw tantrums when they don’t get their way. They are also likely to escalate a fight to physical attacks if provoked. In short, the Aries is big and bold, which can be good or bad! Are you an Aries? Tweet me and let me know! Songwriting may not appeal to impatient Aries, as they prefer to perform. You may find it hard to sit still for that long, or you might get frustrated if the ideas don’t flow. You don’t *have* to sit still to write a good song, so if you prefer to be active, why not hop on a treadmill and take voice notes? 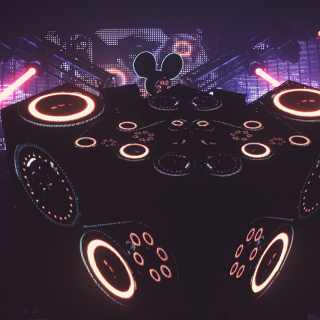 Why not dance out a new rhythm? Make your active nature work for you! Co-writing might be a great idea for an Aries. This would allow you to be creative but also have people to help ‘reel you in’ and keep you grounded. You can be argumentative, however, and get upset when you don’t get your way. It’s important to remember that all ideas are welcome at a co-write! If your co-writer is an Aries, you’ll benefit from their action-oriented nature. They won’t sit around and wait to get something done! However, they’ll also get bored easily, so it’s important to keep talking. Keep the conversation going even when you’re stuck, it will keep your Aries co-writer’s head in the game! Singing and performing is where the Aries truly shines. 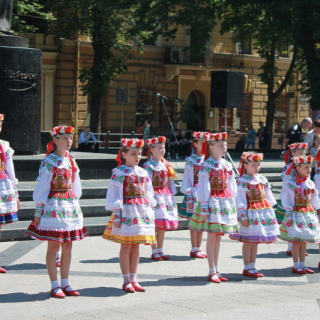 They possess great courage, so stage fright is generally not a problem. They’re willing to take risks, both on stage and with their image, which makes them dynamic artists. While they are willing to share the spotlight, they typically prefer to be front and center. The world is a stage, and Aries intends to be the star at all times. Luckily, their friendly personalities make them a likable star as well as a capable one. Like any true performer, an Aries can get quite a large ego. While this isn’t necessarily detrimental to a performing career, it can get out of control and earn you a bad reputation. Remember Aries, an ego can sometimes be a shield for low self esteem. Look deep within yourself to make sure you’re confident, but not prideful. There is a huge difference, and your fans will be drawn to confidence but repelled by pride. 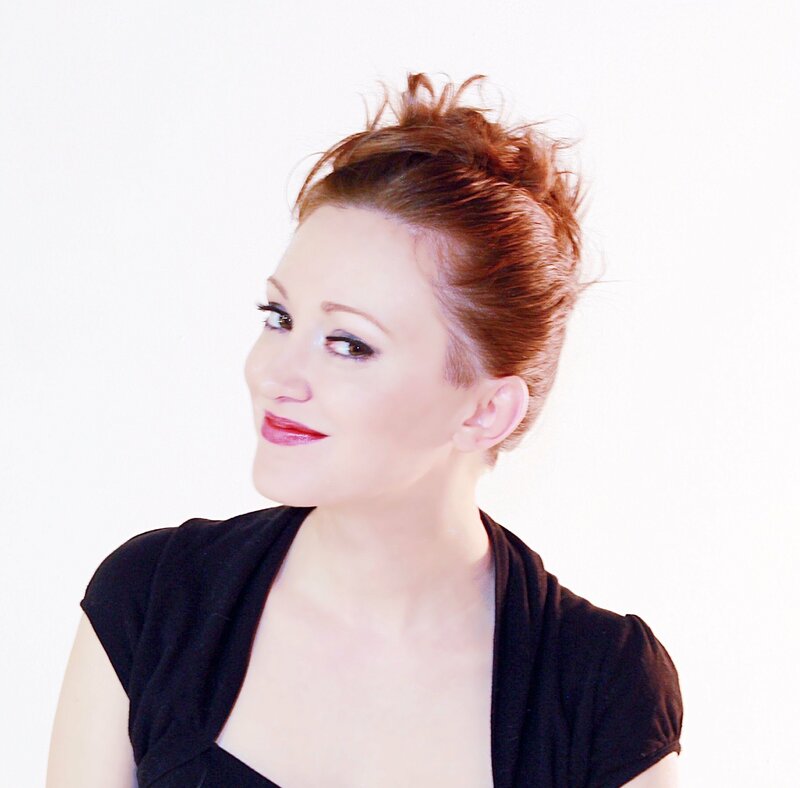 For a list of fellow Aries singers, check out my post here! Active Aries loves learning instruments, as it’s a chance to learn a skill and keep their bodies moving. Once they master that, they’re likely to kick it up a notch. Shredding a guitar with your teeth or playing a piano backwards is a perfect Aries goal. 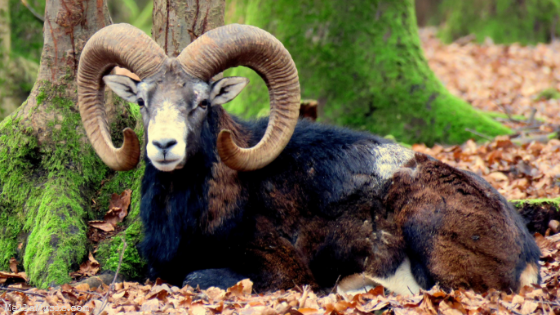 Aries may get frustrated by a lack of progress, however. If they hit a learning plateau, they may give up in favor of a new pursuit. Try different things to keep your mind engaged. If you normally play sitting, try standing up or vice versa. Little things might give your brain something new to try, which will give you an extra boost to keep going. It’s okay to switch instruments if you find you aren’t passionate about one, but if you find that it’s a repeated pattern, you may want to just keep rotating through a couple instruments. That way you won’t get bored and will improve your skills as you go. Everyone learns a little differently so do what works best for you! Keeping yourself interested is an important part of learning anything. 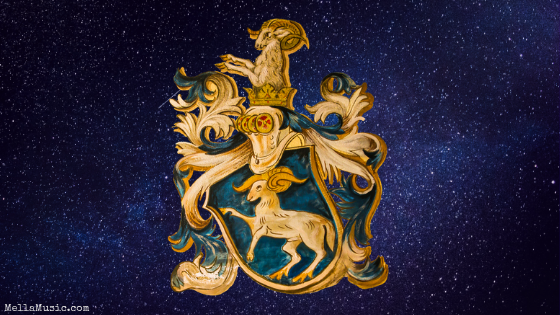 One of Aries’ negative traits is the ability to be cutthroat and ruthless in business, so you’ll have to strike a delicate balance here. 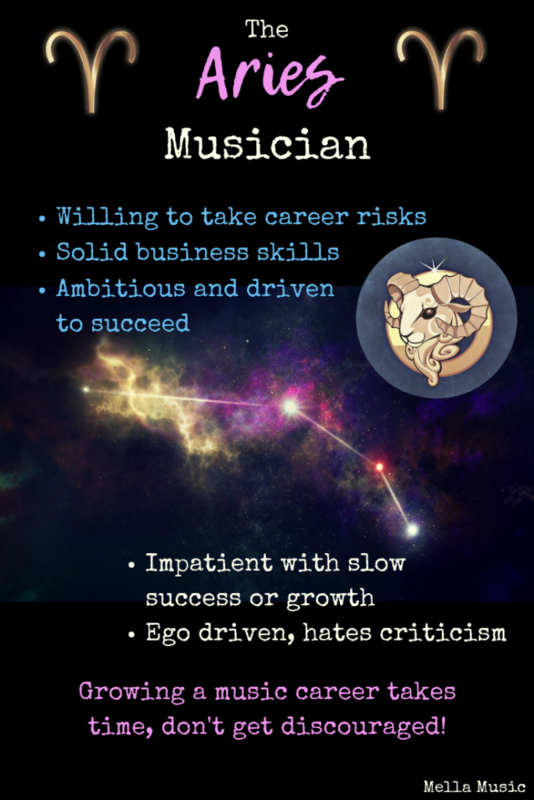 You may find it very easy to navigate the music business as an Aries, but be sure you’re not creating a lot of havoc and destruction in your wake. The music industry is surprisingly small, and it becomes smaller the higher you climb. You don’t want to make a ton of enemies and find that you have nowhere else to turn after a while! Fortunately, Aries is equally ambitious and has a mind for business, so this could be where you really shine! 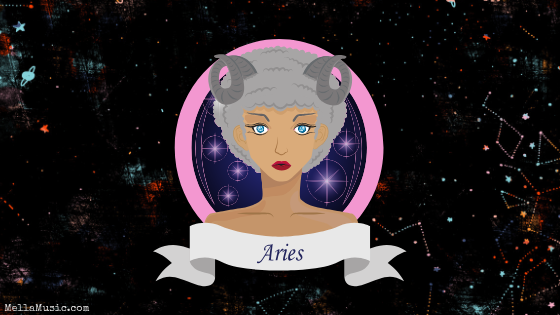 While other signs may balk at contracts and negotiations, an Aries might find that they love it. If one of your band members is an Aries, this would be a perfect task to delegate to them (just make sure everyone reads the contracts equally before signing). Making things happen comes naturally to you, whether it’s acquiring new skills, landing exclusive deals or lighting up a room with your infectious personality. My one recommendation is to look at music as a long game. Those “overnight success” stories are all fake, trust me. Anyone with success in the industry has put many years of hard work into their talent and career. They’re only considered “overnight success” because we’re just now becoming aware of them, but they’ve been here for years! Keep your long term goals in mind and don’t give up when things get slow. You may go through tough times or periods of stagnation; that’s okay! Everyone has to rest now and again, Aries, so use your down time to rest and reflect on where you’ve been and where you’re going. You’ll get there if you don’t give up.